I just purchased Robert Harris' 1991 book, "What to Listen for in Mozart" and to my surprise what did I find inside? Why annotated selections of the score, I found. It seems so obvious, to print a score and label the sections. Anyone who studies or performs has marked up many a score but this was the first time I had ever seen an extended section annotated before. 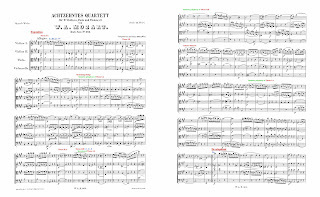 Labeling the sections, important modulations, cadences, and so forth is an enormous aid toward appreciating the structure of the music, which can get lost amid the lengthy descriptions we usually find, laden with flowery descriptions and technical terms. Of course any aid can become a crutch, but I think the format has potential. 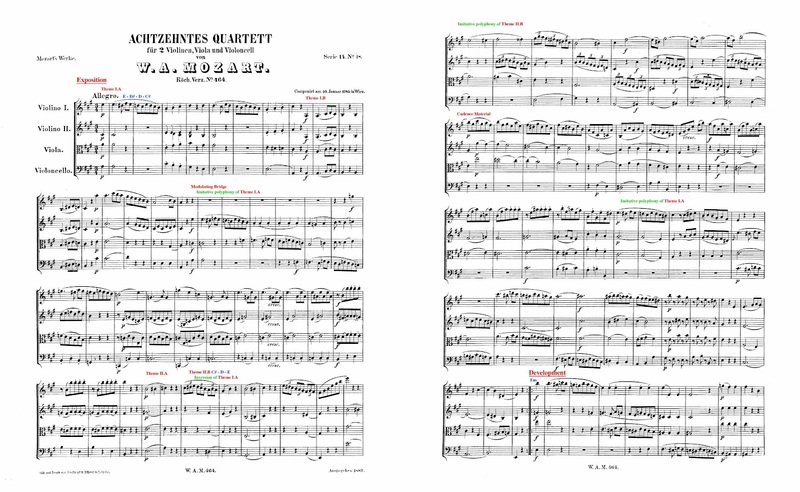 As an example I've digitized some of my notes on the exposition of the first movement to Mozart's famous String Quartet in A, KV.464. You can click to enlarge but you might want to download the image and zoom in on it more. You can of course listen as you read along. So we're happily rocking in our moral hammock, supported by the saving threads of Aquinas when someone sidles up and serves us one of those devilishly perspicacious aphorisms any philosopher would kill to have written. In just a handful of words Bitter Bierce cuts to the heart of the matter: is patience a virtue or merely a mild degree of cowardice or despair? Augustine's point here is less the bearing of evil than the loss of equanimity, that is, self-composure, (aequus, level.) Patience then, as Aquinas goes on to say [Summa Theologica, Second Part of the Second Part, Question 136] is not a virtue which itself produces good but rather one which safeguards other virtues. Safeguards them from what? Sorrow. Yes, sorrow. Rather than being a form of despair, a dead end of misery, patience allows one to forebear sorrow rather than allow one's sorrow to overwhelm reason and perhaps, without the aid of reason, cause one to act in such a way as to abandon other virtues just to relieve himself from his sorrow. Though he does not discuss patience Aristotle does manage to teach us about it. 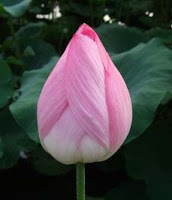 First, patience indiscriminate is no virtue. Second, though it does not fit perfectly into Aristotle's framework of virtues, we see that patience still seeks the mean in attempting to moderate between virtues. Bierce might have slighted patience but he makes a point: patience can be a mask for cowardice, indecision, and lack of passion. Patience ought to preserve virtue, which is a good litmus test to apply while one waits. It is probable if not unavoidable he who enjoys music detests noise. It is inevitable he who seeks beauty avoids it at all cost. 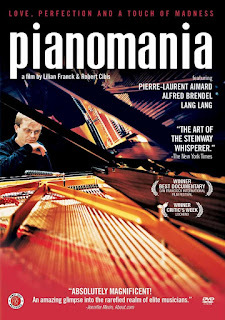 This distinction is, alas, necessary, for every aesthete knows one or a dozen musicians who though they tickle Bach's ivories by day, by night nod, nay hoof, to the bozartian splooshing of the chart-toppers. What an unhappy education, discovering the vulgar reverse of their ennobled facade! Puzzling though this contradiction is, I pass it over at this time. However frustrating and offensive such bedlam may be, its disorder is the subject of musical criticism, here not my means or end. 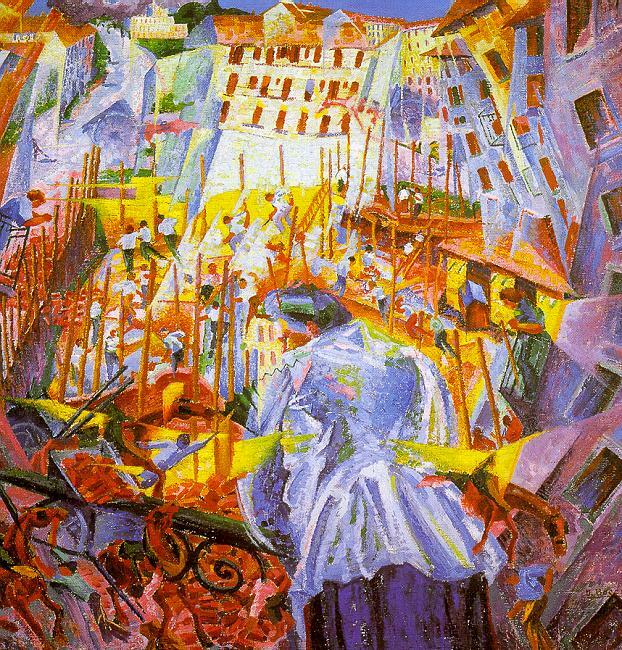 Instead I would focus on what we might call incidental noise, and such noise in particular as produced by man. I say this not just because the whining fits and starts of a weed whacker at this very moment vex me, but because the noise of nature is always appropriate. Rustling trees and booming thunder do not perturb because wherever they are, they belong. To rustle is appropriate for a tree and to tweet is appropriate for a bird, and so forth. More importantly, the sounds of nature are always appropriate to the place, thus babbling is appropriate to brooks, crashing to the shore, and so on. Jackhammering, however, is not natural, but rather incidental to man's desire to live in a house. It is never appropriate to any thing or any place and therefore always disturbs. We could dwell with profit on the words we use to describe what noise does to us. It disturbs and perturbs, that is, unsettles us from the prevailing order and throws us into confusion. Noise annoys, that is, molests, harms, and causes aversion. It irritates, that is, makes irate, and disrupts, i.e. breaks. Finally, noise itself, from its Greek origins means to make nauseas. Noise makes you miserable. Noise makes you want to be anywhere other than where you are. I hope these meanings make noise seem a little less innocent. It's not just a little petty paper-crinkling. We need not invoke the power of music to observe the potential of sound. Let us rather just note then, that it is no small matter to break the silence. We ought, then, break it with some trepidation. We break the silence to confess our love and our fear. We break it with heroic ballads and sweet nothings. We break it with sonatas and sonnets, couplets and concerti. With church bells we break it to sign the sacred and we break it with clock chimes to mark our portion of the eons. Hence, then, the infinity of displeasure through the seconds of a cell phone's half-penny speaker torturing five bars of Mozart so the caller can find out whether to record Law and Order. Hence, then, the dis-ruption from a man smacking his lemon lozenge over Beethoven's nightingales. Focus is the mark of seriousness and appropriateness an apprehension of the nature of a place or thing. Noise, as we have defined and discussed, then, obstructs these virtues. Yes, we all make noises, many of them unpleasant. Yet we ought not expect everyone else to welcome or deal with them simply because they are common. Imposing tolerance of common vices is no virtue, but refraining from displeasing others is politeness. Directed by Christopher Nolan. 2012. So out pour Gotham's poisons, from its wounds by the Joker. The peace Batman bought in The Dark Knight came at the price of truth and covering up the tragedy of Harvey Dent will cost Gotham. The reckoning of its sins will come in the form of Bain, a mercenary and rejected pupil of Batman's own mentor, Ra's Al Ghul. From this premise director and co-writer Christopher Nolan crafts a brawling, blistering finale to his Batman trilogy. 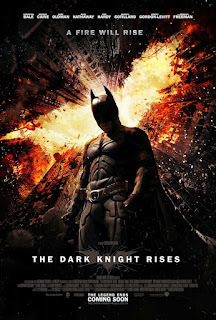 Unlike Batman Begins, which began by interlacing with his training the formative events throughout Bruce Wayne's youth, and The Dark Knight, which began with sequential capers featuring the Joker and Batman each dominating in their respective and then exclusive spheres, in The Dark Knight Rises Batman's bravura entrance is delayed until relatively late in the film. 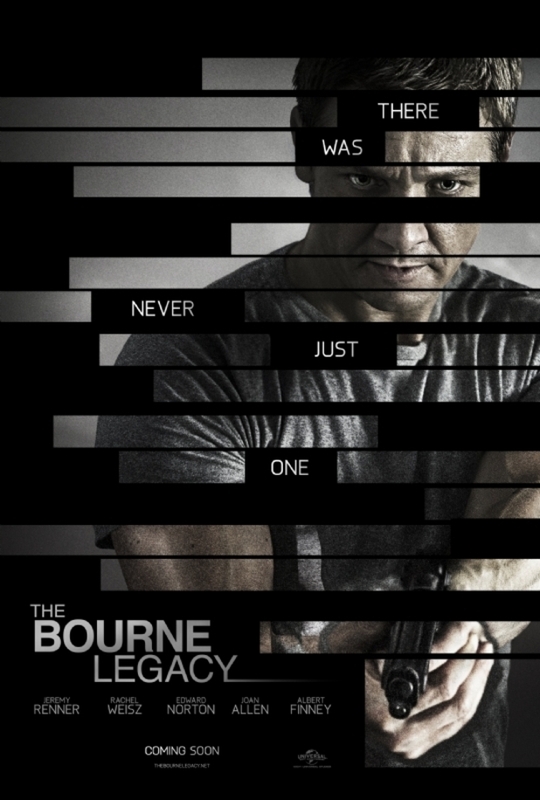 Instead Bane takes center stage with his bold and brutal high-jacking of a CIA jet. While TDK had Batman and Joker locked in a duel it will be Bane whose actions dominate DKR. 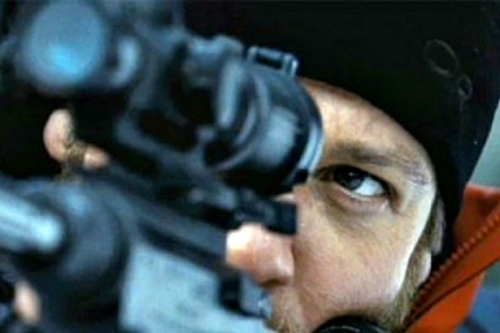 Once his assault begins in the first scene, the rest of the film consists of attempt after attempt to stop him. In contrast both Batman and Bruce Wayne are clearly at the end of their arcs in the trilogy and while Nolan conveys this in the plot and dialogue, the visual cues surpass and supersede. If we recall the opening of Begins the first scene with young Bruce features him falling in a well and, injured, crawling on the floor amidst a flurry of bats. In The Dark Knight we first see him hulking around as Batman on his own two feet, mauling criminals. Finally, Bruce enters The Dark Knight Rises limping with a cane. The similarity to the ancient riddle of the Sphinx, "What goes on four legs in the morning, on two legs at noon, and on three legs in the evening?" is not limited to the arc of man's growth, maturity, and decline but also to the fate of the Sphinx. When Oedipus solved its riddle the Sphinx destroyed itself and when Bruce solves it he defeats his enemies and frees himself. Yet such freedom comes at the end of a painful and tortuous path for both Bruce and Gotham city. In Batman Begins Ra's Al Ghul sought to destroy Gotham City by scaring its people into killing each other by means of a psychotropic drug, in The Dark Knight the Joker tried goading the people of Gotham into violence by uprooting law and order, and finally in The Dark Knight Rises Bane simply decides to annihilate the population of the city. When we bear in mind Bane's ultimate goal we may realize all of the chaos and destruction Bane unleashes upon Gotham is for the purpose of breaking Batman's spirit, of making Batman realize he failed to protect Gotham and to inspire goodness in its people, and that he was wrong to think they could be saved. We can then see Bane as the combination and perfection of Ra's and the Joker. In fact we can be more specific and say Bane is the combination of Ra's' enmity and the Joker's anger. Ra's had enmity for Gotham, not for Batman or any individual. (Remember Ra's had the opportunity to kill Bruce but was content to repay his betrayal kind for kind.) Ra's did not want the people to suffer but wished without any pity for them not to exist. In contrast the Joker felt anger toward Batman and not intrinsically the people of Gotham. The Joker wanted to use the people of Gotham to prove to Batman and all the righteous that the only way to live was "without rules." He did not want to kill Batman but to make him suffer so much that he would break his own rules and kill the Joker. Bane is the terrifying synthesis of these villains, wishing both to wipe out Gotham and make Batman suffer. After Bane's successful blitz in which he both murders the mayor and traps the entirety of the Gotham Police Department underground, he plants the seeds of Gotham's self-destruction. Bane's politicking and theatricality are the means to this end and he presents himself to the people not as a ruler but as a liberator. Batman, in preserving the image of Harvey Dent, brought peace to Gotham for Dent's image inspired a special law which permitted the government to keep most of the organized crime world behind bars. Bane shatters Dent's image and the peace and not only reveals the truth about Dent to the citizens of Gotham but also releases and arms the criminals imprisoned by the now nugatory Dent Act. 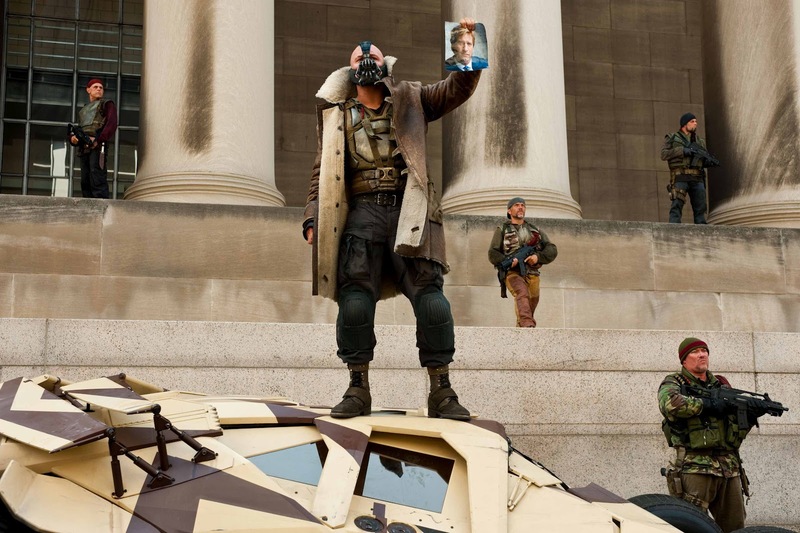 At last, standing in front of City Hall with his goons and looking very much like a 21st century Gracchus or Marius, Bane declares Gotham City freed from the lies of oppressors and returned to the people. This "liberation" results in no sudden utopia but in instant violence and looting. At Bane's urging, Gotham's disenfranchised, criminals, and malcontents begin to raid the homes of the wealthy. Their reign culminates in the formation of a kangaroo court in which show trials pronounce the guilt of police and the rich and sentence them to a choice between death or a deathly walk across the barely-frozen river. The journey from storming the prison to revolutionary bloodletting has proved short. This social war rages in the absence of Batman, beaten and locked up by Bane in a foreign prison, and becomes a crucible for a character we have heretofore overlooked: Selina Kyle. We meet her mid-heist, stealing from Bruce Wayne of all people. Wayne is quickly wise to her predicament: she has skills but she owes money to all the wrong people. Hathaway does a splendid job with Selina Kyle, who projects confidence in her skills but a vulnerable uncertainty about who she is or what she believes. She is initially quite envious of Wayne and pitiless about the evaporation of his fortune, even claiming, unaware about what funds Batman, she does more with the proceeds of her thieving than he did with his billions. Yet Selina fears Bane even as she envies Bruce. While she looks on at the chaos unbound by Bane and the violence perpetrated by the mob against the monied, one of her larcenous friends asks her if this isn't just what she wanted: everything is everybody's. Her silence is a clear answer, but her turnaround doesn't end there. Later, in exchange for a little help, Batman gives her a computer program which will wipe all record of her and give her a much-longed-for clean slate. She now has the chance, as Bruce did, to leave Gotham to its fate. Before, she might not have approved of Bane's revolution but she refused to move against it because she thought the rich were evil, and if they were evil they deserved evil. Now, Batman's goodness and suffering has taught her pity. She redeems her promise to Batman and this redemption is a transformation from enmity toward, if not friendship at least friendship's wellspring, kindness. Similarly, her rejection of Bane and his revolution in favor of accepting an alliance with Batman becomes a turn from envy to its opposite, emulation. Finally, killing Bane herself both fulfills her transformation from fear to confidence and makes amends for her earlier betrayal, itself rooted in fear. Like Bruce, Selina had to discover herself, accept a mentor, and choose a path.Bruce too needed to lose himself in the world to find himself anew. He had to choose his father or Ra's as a mentor, and then finally decide what he would do to fulfill his goal. She had to continue thieving or become someone new, choose whether to follow Bane or Batman, and then finally act. She chooses to leave her past behind, follow Batman, and save him and Gotham. Selina's transformation was what Bruce long ago hoped Batman would inspire, an inspiration symbolized by the "blank slate" software he gave her to start her new life. Batman became Gotham's silent guardian by doing the unasked and not proclaiming it, and so did she. As we can see, Selina Kyle's arc is meticulously mapped and exists as an intriguing story in its own right as well as an essential thread to both The Dark Knight Rises and the trilogy. In Selina's transformation and Bane's twin goals Christopher Nolan gives DKR appropriate themes for the finale to his Batman trilogy. These are not simply three films about Batman, but a trilogy with direction and purpose. Other characters populate Gotham city this time but they don't intersect with the themes quite so much. Lucius Fox returns but mostly as Batman's gadgeteer. 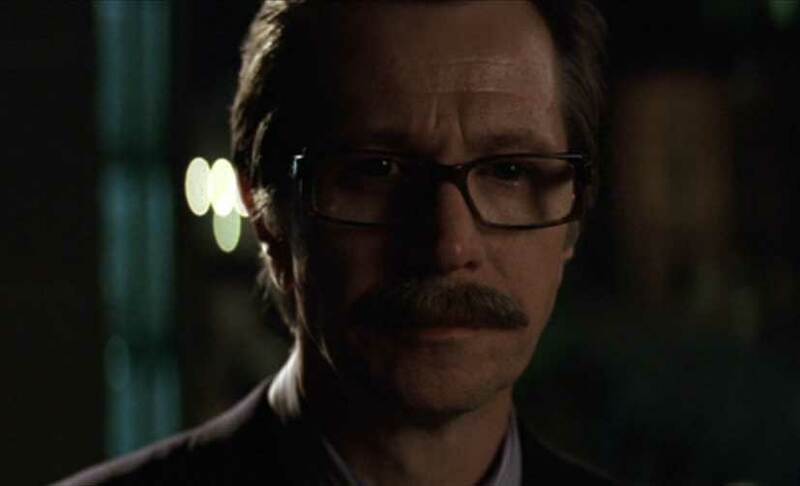 In the grisled Commissioner Gordon, however, we see the toll of a lifetime policing Gotham, the exhaustion of a man struggling to preserve his honor, ethics, family, and life throughout decades of relentless corruption and violence. When we see on his face the guilt and burden of covering up Dent's crimes and betraying Batman we remember his statement from The Dark Knight, that "I don't get political points for being an idealist, I have to do the best I can with what I have." Finally, we find in Gordon an Everyman, a lifelong citizen of Gotham who one day sees a mysterious protector come to his beleaguered city, wage a war against its depraved criminals for nearly a decade, and one day give everything to a people who grew to despise him, and on that last day, in that protector, Jim Gordon found the Prince of Gotham. Ultimately and appropriately, Batman lives at the heart of this trilogy. Now while Christopher Nolan weaves other threads, namely the nature and fate of Gotham City, he weaves them around Batman. Such is not to say they are extraneous since they are most emphatically not. The other themes, however, revolve around questions about man's nature so it is fitting the classical story of a man's growth, maturity, and end is the center. In The Dark Knight Rises, he struggles to rediscover his will when faced with the truth that he never had a future with Rachel, i.e. as Bruce Wayne. Yet Batman is either unwanted by the public or unable to defeat Bane. As a result Bruce/Batman is trapped in an existential limbo. The personal story of Batman, however, takes one the nature of a saga when we observe it takes place in the shadows of two men: Thomas Wayne and Ra's Al Ghul. Batman struggles toward his father's vision of a free and prosperous society while Bane tries to inflict his mentor's punishment on Gotham. This striking and significant symmetry lends unity to the trilogy and tremendous weight to The Dark Knight Rises finale. Christopher Nolan's Batman trilogy is a shining example of filmmaking. It easily outclasses excellent adaptations of comic book characters such as The Avengers and Spider-man and outright shames the rest. Each film's plot is painstakingly constructed and the trilogy is thematically unified, an extraordinary feat for an original screenplay. While there are here and there convenient coincidences and commonplace elements, there is never a hint of carelessness. For the sake of criticism I tried a number of times to change re-arrange some elements of the films to see if I could not fashion some additional symmetry or meaning and each time I unravelled the film. I initially criticized those who called The Dark Knight Rises "satisfying," as if it were a sandwich which temporarily sated one's appetite. 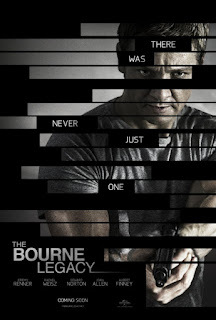 I thought such faint praise for a movie which should simply be called excellent. Yet now I recognize in that reaction not cheap approval but a rather tender sentiment rising from the final scene in which, after having shared in the suffering of Bruce Wayne and the burden of Batman for three films, we feel free. 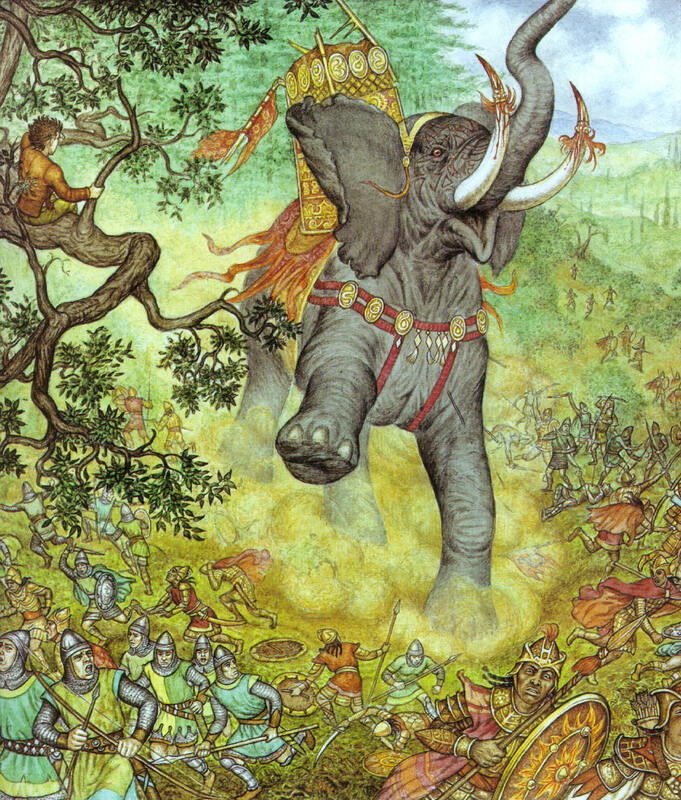 Few modern books, if any, have inspired as much artwork as those of J. R. R. Tolkien. The obvious but incomplete reason is that Tolkien wrote some ripping battle scenes, from the defense of Helm's Deep to the ride of the Rohhirim and the siege of Gondor. I say incomplete because as much if not more attention has been lavished on the quiet and understated moments in the history of Middle Earth. So why should anyone care about the Prancing Pony, Bilbo's foyer, or Theoden's Hall? Why do these created places and spaces take on more significance than actual ones? The answer lies in Tolkien's ability to create a world, and not just a physical one. While we do relish Tolkien's meticulous descriptions of Bag End and the seven levels of Minas Tirith, these places also exist in time. If Orthanc, for example, were simply the home of Sauruman it would be, for all its splendor, just a place, albeit one significant to the heroes of The Lord of the Rings. Yet when Orthanc is the ancient fortress built thousands of years ago on the Northern border of the Numenoreans, who in their decline they could no longer maintain it and offered it to Sauruman, it becomes part of the history of Middle-earth, a history we gladly get swept up in. Places in Middle-earth exist not simply now, in the age we are reading about, but they have existed, and this gives them a unique authenticity. The Philosopher said that what appears to have been always what it is, is regarded as real. Indeed. Too, a place which housed great kings and outlasted many battles deserves to endure, a home which has housed generations of a family ought to be the home of their descendants. Their history gives the places of Middle-earth their authority. Tolkien achieves this authenticity in two other ways, the plainest of which is his use of the languages he invented for Middle-earth. Yet it is not the euphony, novelty, or even uniqueness of the Elvish languages that imbues Middle-earth with authenticity but the logic of the roots and names. Whether it is Nan Curunír, "Valley of the Wizard," or the Noldor "those with knowledge," Tolkien's peoples and realms do not simply have names but feel named. This adds a human presence to all of Middle-earth even where the historical details are not painted in. Aye, aye, something like, but much worse. I do not doubt that there is some shadow of the Great Darkness lying there still away north; and bad memories are handed down. But there are some hollow dales in this land where the Darkness has never been lifted, but the trees are older than I am. Tolkien has in fact not told us anything about who is doing what, when, where, or why, rather he has created a sense of the way things are, the nature of things in Middle-earth. In two sentences Tolkien sketches an ancient world full of creatures older even than hoary Treebeard himself, a world which has passed through a darkness so great that evil endures in cracks and crevices. 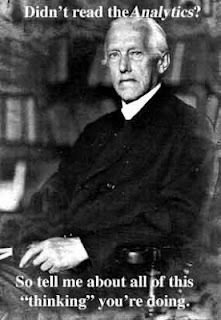 Tolkien's use of the passive voice with," bad memories are handed down" is especially effective, suggesting both that the darkness was so great that it could not be forgotten and that those passing the memories down are still bitter. The information also comes as bit of a discovery about a place we thought we knew. By these means Tolkien's stories come to the reader not only as romances and mythologies, but as an inheritance of rare histories which invites us to step into Middle-earth. As such, Tolkien enthusiasts have a particular fondness for drawings of Middle-earth. Here are my thoughts on a pair of collections. Harper Collins published both of these volumes in the early an mid 1990s and they feature respectively 58 and 60 paintings. 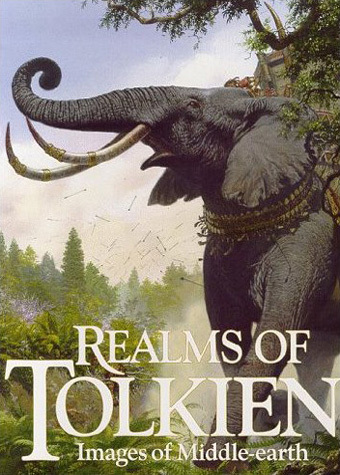 Fans of Peter Jackson's filmed Lord of the Rings will recognize the many by John Howe and Alan Lee and Tolkien aficionados will recognize the handful of Ted Nasmith's meticulously detailed work, but the remainder, a diverse assortment of drawings from lesser known artists and even amateurs, will be a welcome surprise to all. In particular, Realms of Tolkien features the work of Dutch artist Cor Blok, whose work so pleased Tolkien himself that the two met and the author bought two of Blok's paintings. Blok's work draws least on the common elements of design we associate with Middle-earth, such as the Nordic look of the Rohirrim and so forth. Without the familiarizing effect of traditional visual design elements Blok's paintings focus on the essence of the action. The bloodiness of at the Hornburg takes on a new starkness with Blok's orange slashes and tiny lopped heads. 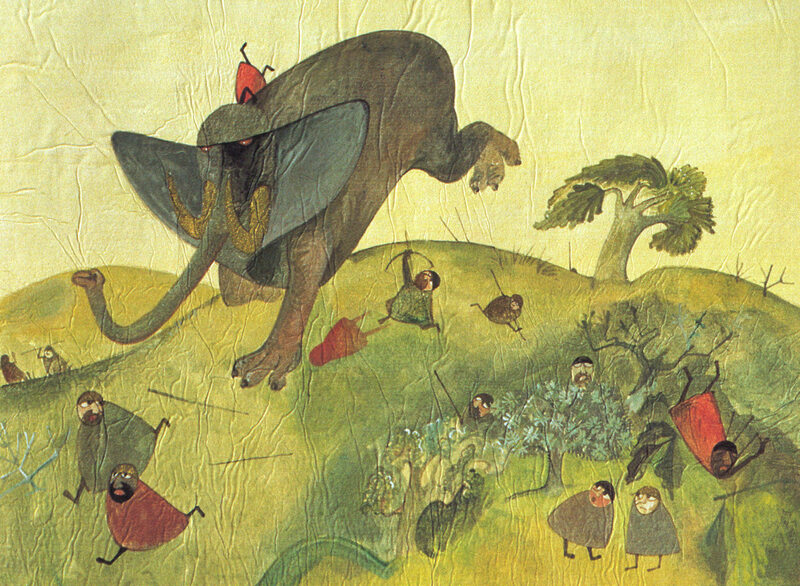 His Mûmak is a truly alien creature and our shock at it draws us closer to the fear of the humans in the picture far more than our reactions to any old elephant could. Other styles are far from antiquated, though. Nasmith's (above) captures the grandur and scale of that "moving hill," and Swedish artist Inger Edelfeldt captures its power with billowing dust clouds and scattering men. The variety here is a real pleasure. 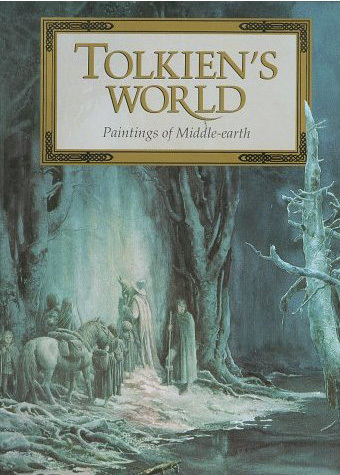 In both volumes each painting is accompanied by the corresponding selection from Tolkien, and while some of these could have been longer it is helpful to have some of the text beside, both to have the author's description set the stage and to compare the picture. Many but not all of the paintings are full-page for reasons of aspect ratio. The wide landscape paintings are unfortunately not rotated but printed across the page so they can be viewed beside the text, a reasonable decision but one which results in a significantly smaller image and much wasted space. Yet that's a minor complaint about these volumes, both splendid and rewarding paths through Middle-earth.